Let’s face it – everything’s better with friends, and this is a mantra Rocket League developer Psyonix has championed for some time. 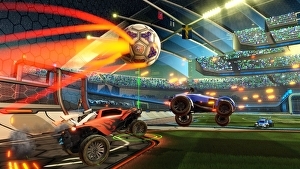 As one of the studios most vocally in favour of cross-platform play, Psyonix has actually already implemented the feature, which currently allows PC, Xbox One and Nintendo Switch players to game together (while PlayStation can still only play with PC – for now). The problem with the current setup, however, is players cannot party with players on other platforms before heading into matches. This is where RocketID comes in – a standalone system designed to allow cross-platform players to group up. Yet despite promises the highly-anticipated system would be ready by the end of the year, it seems RocketID won’t arrive until early 2019. In the latest Rocket League roadmap blog post, Psyonix explained it has made the “difficult decision” to push the release back in order to make the system “as intuitive, stable, and polished as possible before releasing it to the world”.